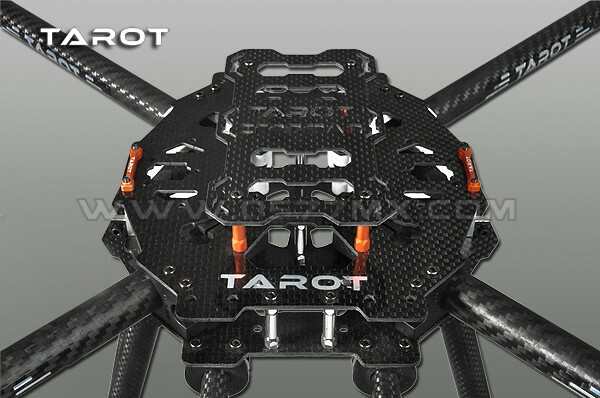 – Tarot Iron Man 650 Rack adopts Toray 3K carbon fiber cloth woven carbon fiber board with 3K hollow twill pure carbon fiber carbon fiber tube (non-3K glassy carbon tube) CNC machining,design standards higher than similar products, the full set of rack weighs only 476 grams. 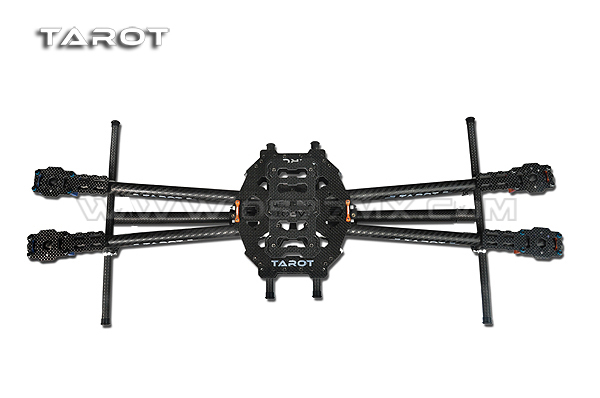 Full folding design, installation designed for users with high portability requirements,the user can flexibly according to the weight of the loaded photographic equipment adjust the center of gravity. 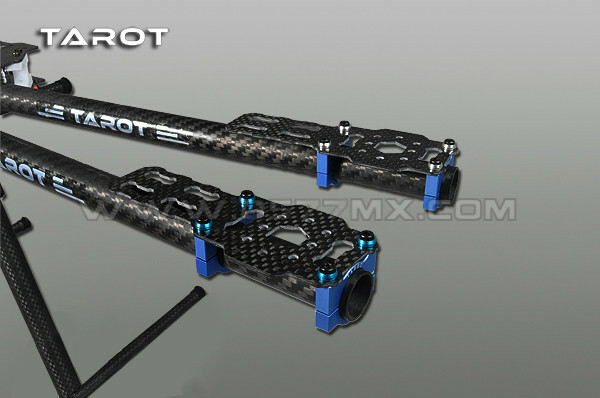 Particularly suited to do surveillance, remote sensing, mapping, aerial reconnaissance, fire observed explore life cable line patrol, farm monitoring, and other the mobile performance requirements equipment. 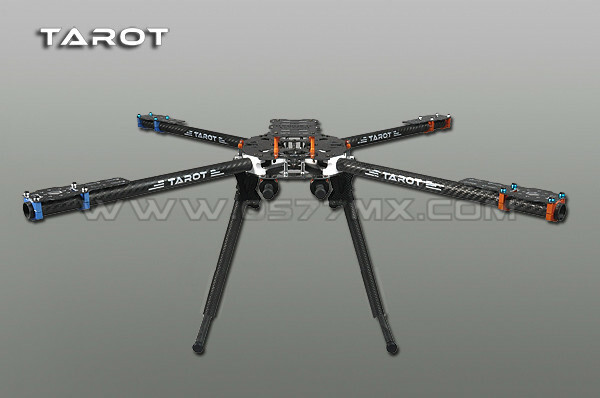 You may need other Tarot Quadcopter for your other options and comparison. 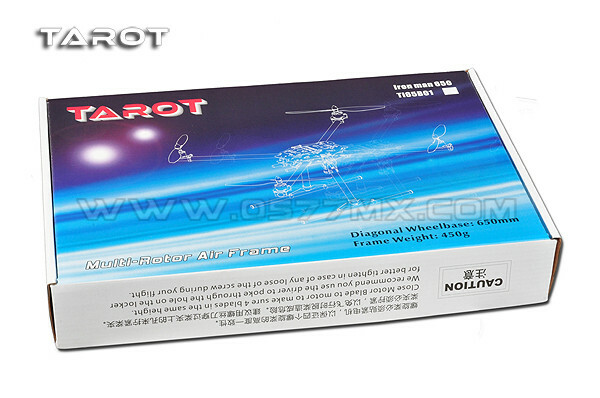 1The shipment is free shipping via China post air mail . 2Instruction:the weight and size we marked in the package details is not the actual weight and size of the goods, if you need to know the actual weight and size, you just need to contact us. 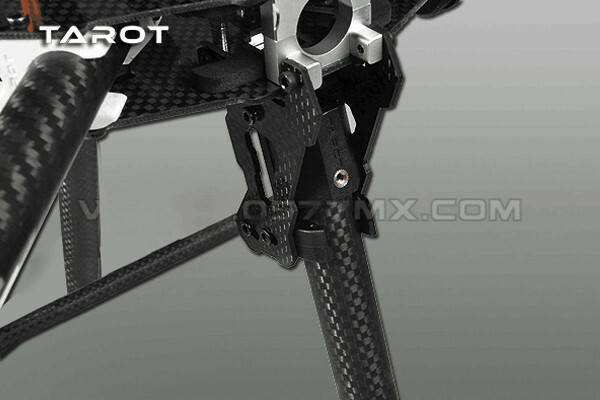 4 If buyer want to use more faster shipping method, like DHL etc, please communicate with us about the increase shipping. 5 Instruction:The shipping time is depends on the buyer’s customs clearance time or Force Majeure. If buyer does not receive the goods in a long time, we hope buyer can contact your customs or local post office, in order to get goods soon.